Powering the Instant Money Economy, From Any Source To Any Destination. Pay anyone, anywhere for anything in an instant with real-time, secure funding to more than 4.5 billion consumer accounts, plus cash disbursement. From technology and support to user experience and administrative interfaces, unlock everything you need to realize serious savings and deliver payments with complete confidence. Implement a single API to tell us who to pay, how much to pay and what account to pay. We’ll take care of the rest. If you’re looking for push payments in a box, we’ve got you covered. Our modular components and custom workflows and rules allow you to support your own payment process or outsource disbursements altogether. Support your brand, configure your experiences, authenticate recipients and process payments through a single platform designed for large enterprise organizations. 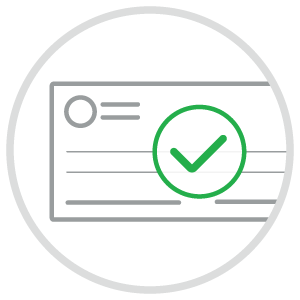 Use our iFrame service for a secure PCI-compliant option with tokenization. We've got you covered with real-time payment transaction processing and daily settlement. Eliminate the delay and risk of check deposit for your customers with check cashing services that turn their checks into instant, guaranteed funds immediately available to pay bills, make purchases or withdraw at an ATM. With the swipe of a card you can turn cash into real-time, digital deposits and payments. Accept cash at your register and originate push payments using our simple API or web POS platform, giving your associates the ability to process transactions in seconds so your customers can move on with their lives. Complete the fields to speak with a team member. I am a ______ interested in making instant payments.